Smart Retail Solutions (SRS) is where advanced Business Intelligence Analytics and Behavioral Analytics converge to guarantee efficient store teams driving profitable sales improvement from 18-22% shrink reduction, 20% improved inventory productivity and 22% Out of Stock Reduction for a up to 20% gross margin profit boost in just 12 weeks. The SRS team is made up of operations, merchandising, loss prevention, BI Analytics, and Behavioral Analytics experts who partner with retail leaders to achieve industry leading, sustainable profit improvement. Our team understands that people and their behaviors are at the heart of successful store operations, which is why they provide the only human centered business intelligence software solutions for retail. In 2016, the SRS Team created the ProfitTrax Platform featuring the Command Dashboard, ProfitWalk with Embedded Best Practice Training, the Adhoc Report Wizard, and Natural Language Weekly Reports to help retailers gain a competitive edge. We love our customers and welcome your feedback and suggestions. Retail Executives are invited to learn more about the all new ProfitTrax Solution, Shrink Control, Store Operations Excellence Training and Customer Service Excellence programs by getting in touch with us via our Contact Us page. 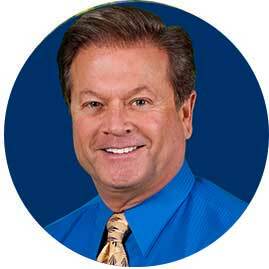 Larry Miller is the Results-driven, creator of the ShrinkTrax Cashier Shrink Control program, the ProfitTrax Business Intelligence Solution for Total Store Profit Improvement, the Total Store Manager Best Practices training programs and The Supermarket Shrink Survey. With over 40 years in retail store operations and shrink prevention, Larry has helped over 940 retailers worldwide to grow their profit with advanced Analytics Software and Store Operations Best Practices Training. Larry and the SRS Team created the ProfitTrax Retail BI Platform with Personalized Dashboards and Data-driven Action Alerts ~ GUARANTEEING to reduce store shrink up to 15%, reduce OOS up to 18% and improve Store Manager store-walk effectiveness by 22% all to improve Gross Margins up to 20%. ProfitTrax uses advanced analytics and Natural Language reporting to score store performance and target areas needing improved store team best practice execution for visible profit gains and 4:1 ROI in just 120 Days. Retailers can learn more about ProfitTrax and ProfitWalk at www.SmartRetailSolutions.com or by contacting Larry at 602-448-8500 or Larry@SmartRetailSolutions.com. 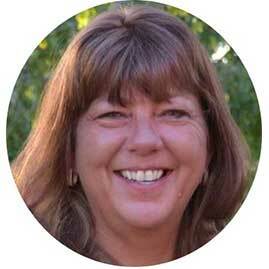 Dawn has served the Retail Industry in both Operations and Loss Prevention capacities for 25 years. Throughout that time, she has worked for Trax Retail Solutions, March Networks, Inc., and Loss Prevention Works. Dawn is a relentless customer advocate teaching, training and coaching. Today, Dawn is the Chief Operating Officer and VP of Customer Success for Smart Retail Solutions where she is the Senior Team Lead for Shrink Prevention BI Implementation in Supermarkets, C-Store, Mass, Specialty, QSR and Pharmacy. 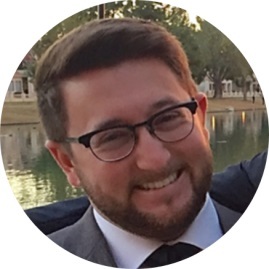 Steven Miller is the Director of Customer Onboarding & Marketing at SRS and lends to the team his innovative spirit and an unrelenting work ethic. Steven is a graduate of Tulane University where he held leadership positions for Phi Kappa Sigma Fraternity, supervised Student Staff in Undergraduate Housing, and helped to start Smart Retail Solutions. The teams he has led characterize Steven as passionate about innovative leadership practices, an organizational motivator, and driven by personal growth.